Let's plan your family boat trip on Lake George! ﻿We're here to personally answer your questions. E-mail us by clicking the button above. Use the below map to receive easy directions via Google Maps to our docks. ​You can alternatively use 3940 Lake Shore Drive, Diamond Point, NY 12824 in your own GPS. Look for our blue and white "Bolton Boat Tours" sign pictured below. 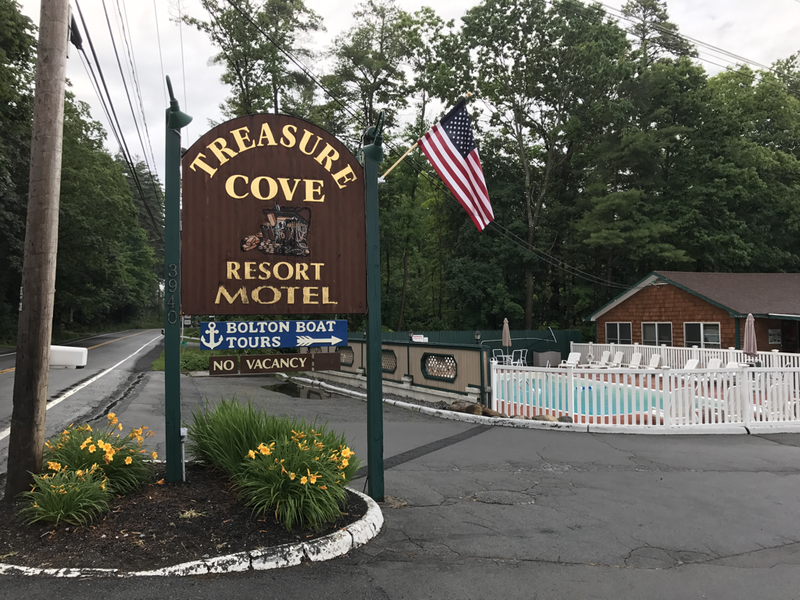 We are approximately 10 minutes North of Lake George Village and 10 minutes South of Bolton Landing on route 9N. NOTE: We CANNOT accept LAST MINUTE groups that show up without PRIOR ARRANGEMENTS. Our docks are located here! Please arrange your tour ahead of time.